Make Direct Energy your Illinois electric company, natural gas supplier and trusted home services provider for electricity, gas, plumbing, electrical, and HVAC services. 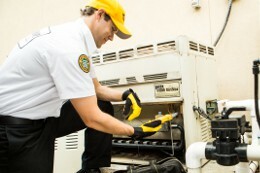 Looking for a gas supplier or power company in Illinois? We don't just want to be your energy provider, we want to be a part of your everyday life with competitive electricity & natural gas rates and expert home services to keep your home well-connected. When you think of home, we want you to think Direct Energy. We've got Illinois gas and electric plans that put the power of energy choice in your hands. We have low, fixed electricity rates and a variety of term lengths. 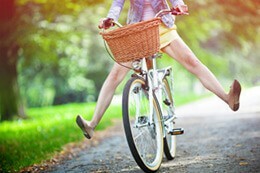 Make Direct Energy your Illinois energy company! When it's time for home maintenance or repairs, you need knowledgeable and experienced electricians, plumbers and HVAC technicians. We've assembled a team of highly-trained home services experts in Illinois to maintain your plumbing, wiring, climate control and more. 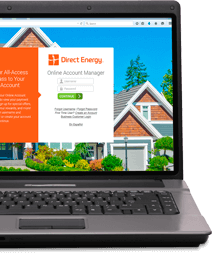 Log into your Online Account Manager today, and take charge of your Direct Energy experience. Get efficiency tips, view your bill, explore special offers, and more. 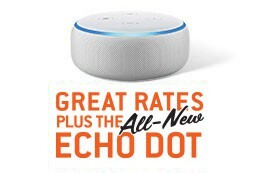 Get an Echo Dot when you sign up for Power on Command 24, and manage your energy usage with the power of your voice! Variable rates from Ameren or ComEd are a thing of the past when you switch to Direct Energy. Get the Illinois electricity and natural gas you need without pricing that changes with the seasons. Every year, we commit to support and recognize the people and organizations making a positive impact in Central Illinois through our Volunteer Citizen of the Year Award. Know a person or organization making a difference in the community? Click below to find out how you can help get them recognized! Be sure to follow us on our social platforms! Whether it's Facebook, Twitter, Instagram, Pinterest, YouTube, and LinkedIn, you'll always stay informed with Direct Energy's latest happenings. Get the latest energy industry news, important weather information, and energy efficiency tips. Be on the lookout for special promotions and games on our pages, too! Thanks to deregulation in Illinois, you're able to shop around for the perfect natural gas and electricity plans for you, instead of being limited to Ameren or ComEd. What exactly is deregulation and how does it affect your choice in IL power suppliers, you ask? Click below to find out. We're honored to service the homes of the men and women in our military communities. Enjoy an exclusive discount on natural gas or electric service for your Illinois home with our special military plans. It's our way of saying thanks for your service.